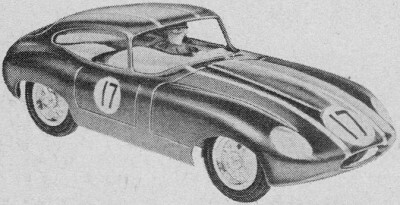 For some reason I was never big into building model cars, although my teenage years best friend Jerry Flynn, was. 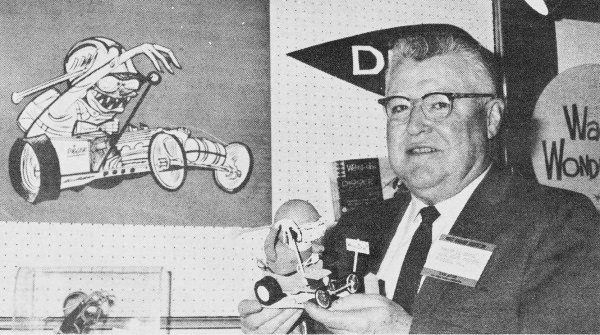 Jerry and I flew lots of model airplanes and rockets together, but he was the car modeler. Jerry had a bit of an artist's touch with models and would build top fuel dragster models from scratch using plastic sheet stock. He won a couple contests back in the 1970s at the big hot rod show held in the Washington, D.C., Armory. As a body-fender repair shop technician and eventually body shop owner, he could repair dents so perfectly that you couldn't tell the repair from the original. 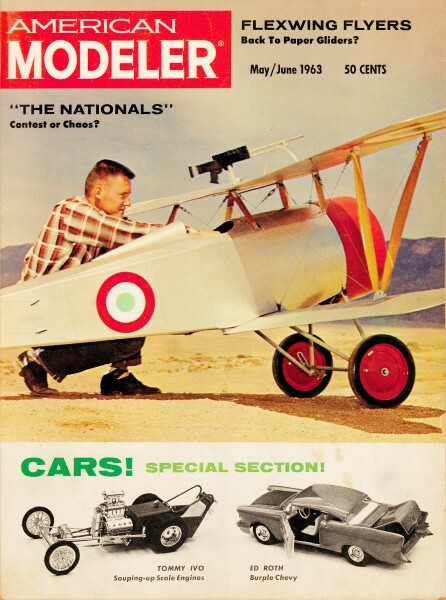 The models shown in this 1963 American Modeler magazine are not too far removed from the kinds of car models on the store shelves when I was a kid. A lot of the models can probably be bought today on eBay. Lindberg's "Exterminator" is new king-sized $9.95 kit with great quantity of goodies and chrome. While too large for the slot racing crowd it is certain to make a hit with scale detail fans. 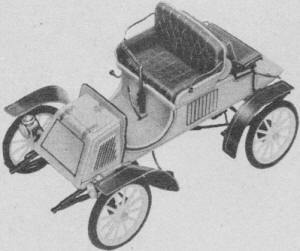 Two electric motors are concealed within those scale engines. Steering mechanism operates like prototype. Seen in front of an Indianapolis hobby shop is the full-size and model "Big T" by Monogram. 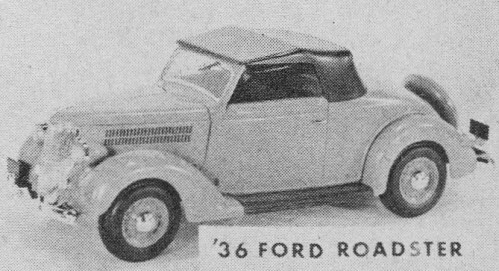 Real car was copied from the one-eighth sized miniature. Body, or bucket, is from 1924 Model T Ford roadster; pick-up bed is from Model A; Chevrolet engine under the hood has 3 carburetors. 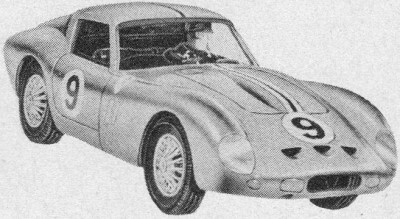 AMT Pontiac Bonneville Turnpike racers compete along 60-ft strip, are stopped by concertina-type buffers. Phil Mates of Hawk Models introduces "The Digger", one of three out-of-this-world "Weird-Ohs" which are sure to set the automotive world agog. Beside this way-out dragster Hawk has created "Davey"-the psycho cyclist, and "Daddy"-the swingin' suburbanite. Each, $1. Real nutty. 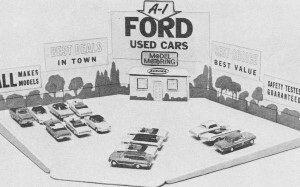 Aurora Plastics Corp., taking a hint from Detroit, is offering to put hobby dealers into the used car business with this A-1 Ford Used Car Lot counter display. 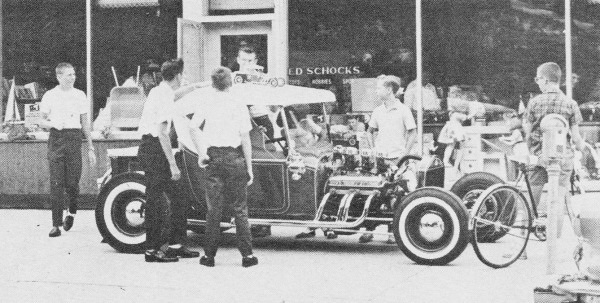 To boost sales on new 1963 Model Motoring Fords, dealers offer trade-ins on 1962 model Fords, then recondition and resell them. The display will hold 50 Model Motoring cars. Strombecker's new 1/32nd frame and motor is compared with last year's. The top chassis is 1962 production job, lower one is '63 version. 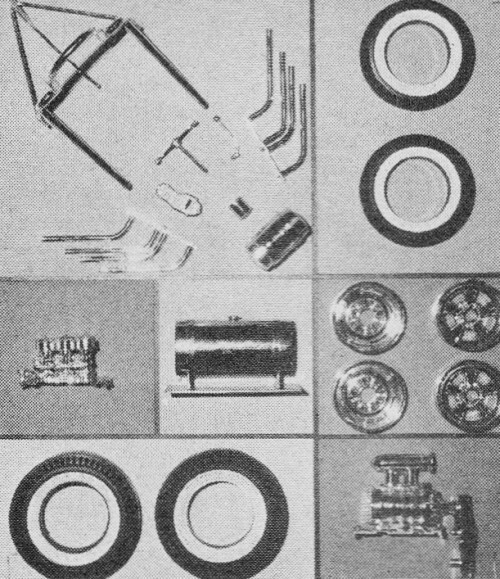 Hubley's metal kit for the 1930 Model A Ford Coupe has more than sixty parts with detailed engine, white wall tires, luggage rack, and movable rumble seat. $2.98. Out of more than 4,849,340 Model A's produced, 929,000 are currently registered across the U.S. 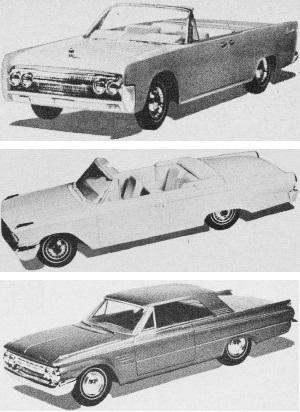 Among 1/25th scale 3-in-1 kits introduced by AMT Corporation are Lincoln Continental (top), Ford Galaxy 500 (middle), and Mercury Meteor (bottom) sports coupe. Each $1.50. The 3-in-1 deal gives the builder his option of recreating a particular car in original stock version or in a customized or competition variety. With the Continental, the model car buff can duplicate Pres. Kennedy's special job. Other 69¢ Lindberg Dragster kits include the Trailblazer (above) with rolling wheels, scale mill, hinged hood, removable tonneau, scale tools. 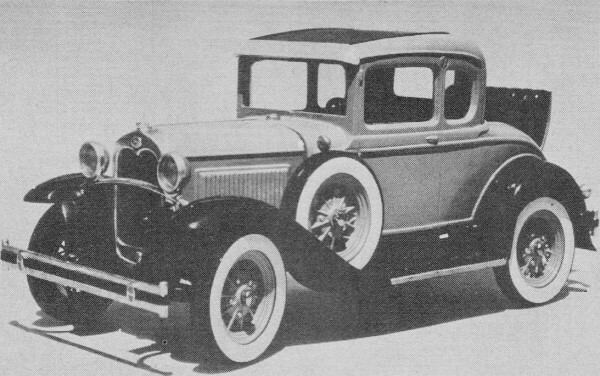 1929 Rodster (below)has rolling wheels, can be modified in many ways. With customizing decals. 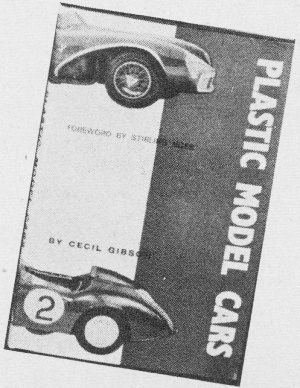 "Plastic Model Cars" by Cecil Gibson (110 pages, 5-3/4" x 8-3/4", with photos, diagrams and plans) is timely Volume on every aspect of plastic model car building. Printed in England with foreword by Sterling Moss - who confesses model making has long been a favorite hobby! Strombecker is showing new 1/32 scale cars , the XKE Jaguar (above) and Ferrari Berlinetta (below). Powered by 12-volt motors, they hit 200-mph scale speeds. 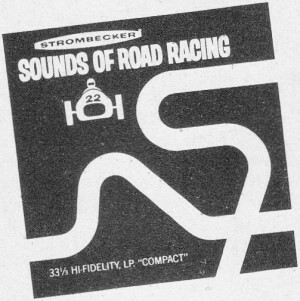 "Sounds of Road Racing" is the firm's LP record album recorded during actual races. 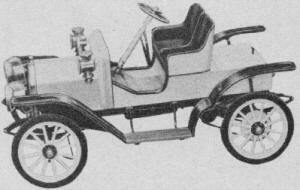 ITC releases its big (16 inch) 1911 Mercer Runabout as a non-motorized kit for $6. 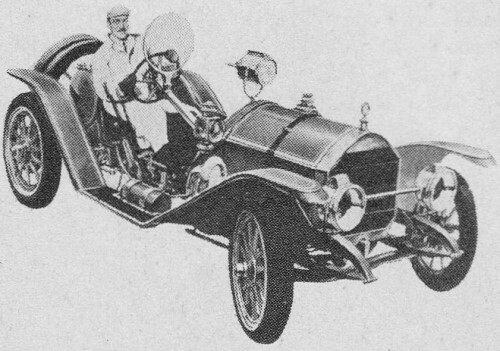 ITC $1 non-motorized car kit series includes the Italian Ferrari (shown), Mercedes Benz, Jaguar sports car, and Ford's T-Bird. 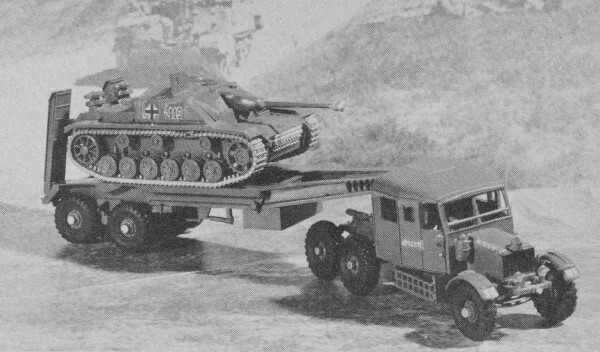 World War Two vets will be quick to spot 30-ton Scammell British tank transporter and German Panzer 75mm assault gun, both 00-scaled by Airfix. 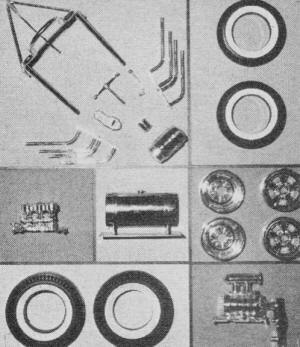 Auto World of Scranton, Pennsylvania, is offering gear and tire sets for 1/32nd scale cars: chrome plated wheels, soft rubber tires (7/8", 13/16", 1") and Eldi matched gears. 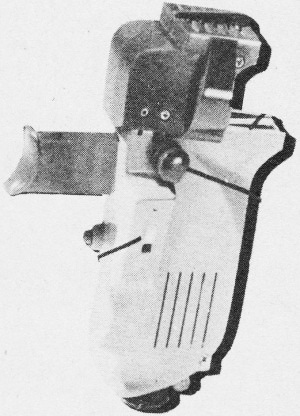 Tyco's "ray-gun" speed control may lead to a new generation of 7-fingered youngsters. 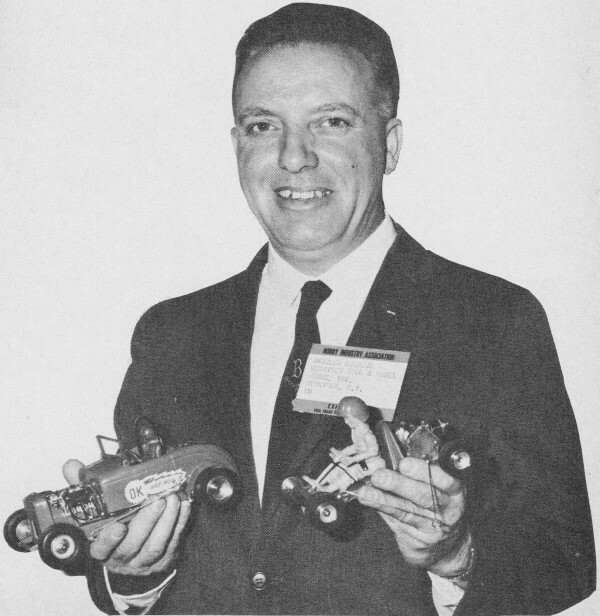 Charles "Chuck" Brebeck with the Herkimer OK .049 Cub glow-engine powered "Hotrod" ($9.95) and .024 Cub powered "Cub-Kart" ($8.95). These two babies really git out and go-o-o-o. 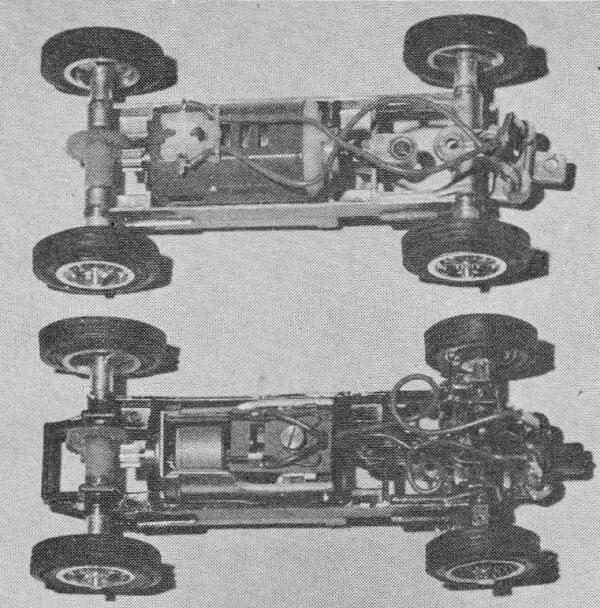 The Lindberg line of "Show & Go" Dragsters include the Sportsman Classic Racer (above); original was powered by 6-carb Chevy mill. 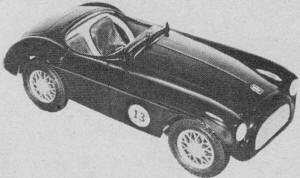 #12 is the Red Devil Racer (below) from an original prototype in the sportsman class which used Buick engine. Kit price, 69¢ each. Additions to Aurora's "Old Timer" collection include 1911 Buick Bug (middle); 1903 Rambler (top); and 1904 Curved-Dash Oldsmobile (bottom). These highly detailed models in kit form are each $1.98. 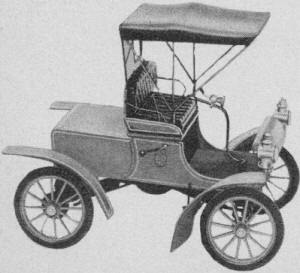 The Buick had a 30-mph maximum speed; Rambler's dos-a-dos accessory seat in rear was forerunner of the rumble seat; the Olds was considered America's first production automobile. Seven sets of custom accessories (left) are designed for use with Monogram's line of 1/8 scale car models. Prices of sets range from 59¢ to $1. 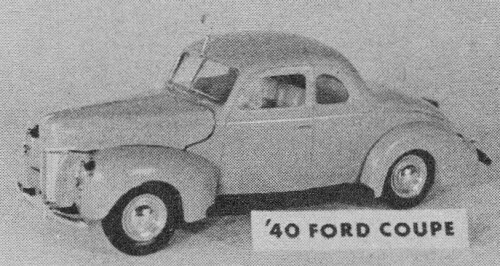 Pyro's Table Top Auto Series unveiled four new 50¢ kits featuring popular Ford stock cars. Three are shown at the above; the 4th is the 1949 Ford Tudor. All are molded in authentic automobile colors with interior and complete exterior detailing. Kits have clear plastic parts, too, along with customizing and racing decals. AHM's Mini-Car offerings brings forth such exotic greats as the classic Rolls Royce; kit is 59¢. Others are Jaguar XKE, Ford Galaxie, Ford Model T - on which you can even read the license plate (priced 29¢ to 59¢).